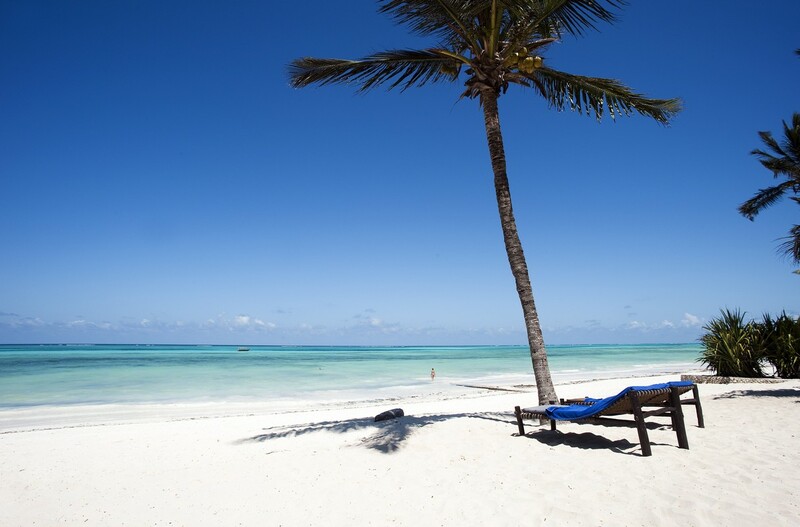 With architecture and décor in the traditional Zanzibar style, this is an incredible value for money, well established hotel in a secluded area on the island’s east coast, about 50 minutes’ drive from the airport and Stone Town. 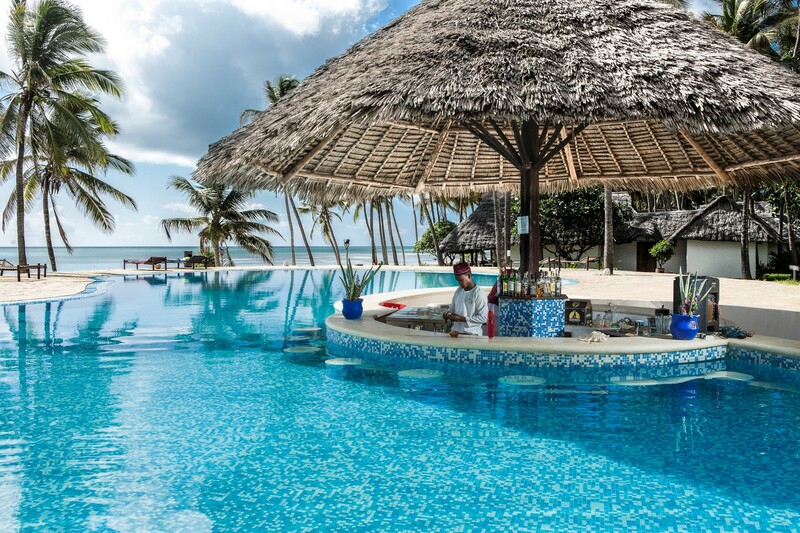 Hands-on and attentive management, 4 restaurants, daily entertainment, a PADI dive school, 3 large pools, swim up bars and a scenic Spa with a Jacuzzi pool complete the picture. 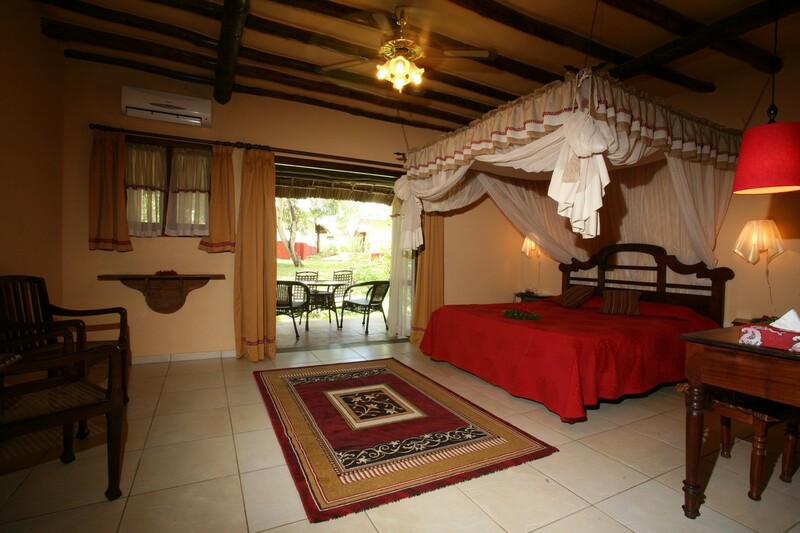 These junior suites have generous sea views and are situated along the beach front. 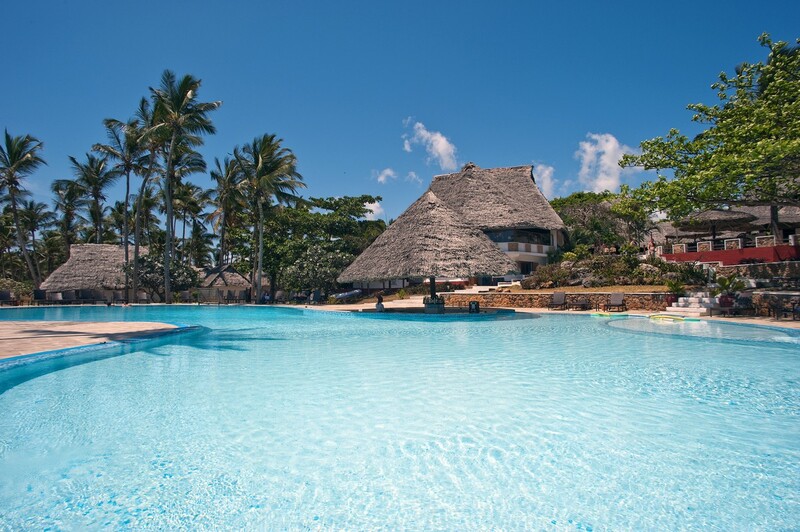 The resort operates on a Half Board or an All Inclusive basis. 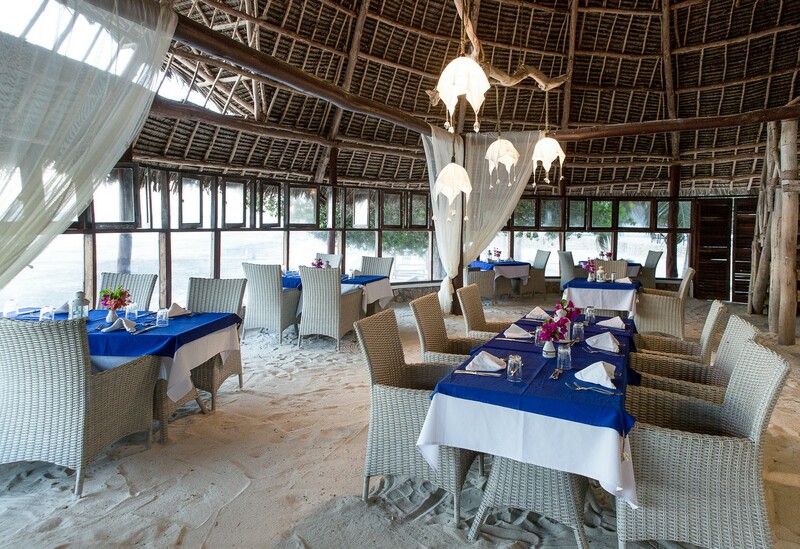 Beachfront a la carte restaurant offering a lobster and seafood menu at an additional charge.